Happy Wednesday! Instead of my normal Wednesday Reviews or #WIAW post, I'll be joining Anne in her Currently linkup. I changed a few of the topics (mostly because I couldn't figure anything that I'm anticipating and couldn't narrow down what I'm appreciating that would be interesting at all). Let's get to the topics! cooking : Lots of Thanksgiving food! I have a few things planned for the blog in November centered around a Thanksgiving theme, and I've been pinning, experimenting, and eating like crazy! planning : My wedding! I don't talk about it a lot on here (and I'm not going to!) but we're just about done planning. Our plane tickets are booked, hotels have been reserved and paid for, dress is bought. Now we just have to wait! smelling : Fall weather. Does fall in your area have a scent? In Pittsburgh, it's a mixture of crunchy leaves, pine, fresh air and I love it. I've been going on more walks than normal and running outside as much as I can lately just to take in the scent of autumn. I've also been burning my fall and winter candles (still on the wood wick kick) and my favorite is Midnight Apple/Vineyard Harvest/Cinnamon Buttercream. YUM! Your turn! Answer one (or more) of the categories above! I totally respect your decision not to share your wedding, but I'm so excited for you!!! Love that you love Christmas music in November too :) "Mary Did You Know" is my one of my all-time favorite songs and I don't think I've heard that version. I'm sure I'll love it! Eeek I love the pentatonix Xmas music! I put it on my running ipod all winter! How nice to be almost done planning your wedding!! I'm sure that can be an overwhelming task!! "Mary Did You Know" is one of my favorite Christmas songs, although I haven't heard the Pentatonix version so I will have to check that out...but maybe next month. I'm not a huge Christmas fan so I put off thinking about it until December!! You need to listen to it soon Gina!! I'm a fan of some Christmas things- music, food, family- and I'm tired of other things like the consumerism..so I can see why you would want to put that off! Running in fall is the best! Reminds me of running cross country! I can't wait until Thanksgiving, and there are too many songs out there to limit myself so I just go for it ;) I waited patiently for November, but that's enough self control for me! I'm not ready for Christmas, even if retail goes straight to that. I've loaded my Netflix with discs that have Thanksgiving episodes because those are funny, but Thanksgiving is under-represented. It is kind of annoying how quickly we switch over to Christmas nowadays. I just like the music, but don't decorate or anything yet! Thanksgiving is definitely a great holiday and TV episodes are the best! Great idea Lesley! I'm so excited for you and your wedding! Feel free to talk about it as much as you want :) I love that stuff! cooking: crockpot recipes! No one told me how busy blogging would keep me.. so easy crockpot dinners it is! planning: my break from running in December! music: I'm actually on the world's biggest podcast kick right now! I might sneak in some things here and there since everyone seems to want to hear about it! What podcasts are you listening to? I'm always up for listening to new ones! Your enthusiasm for life is so contagious. That waterfall is out of this world. I can't even handle it. I'm loving the smell of candles too. I burn so many of them at a time, but I don't care! You are so, so sweet Suzy :) Your comments always make my day! I love hearing wedding details and planning but I understand and respect you keeping it minimized/private. So exciting! yay for wedding stuff! how exciting, and i love the wedding site. gorgeous! all i want for christmas and baby please come home by Mariah are my favourite christmas jams! Oh myyy those are amazing songs. Love some Mariah! Congrats on getting wedding planning done! 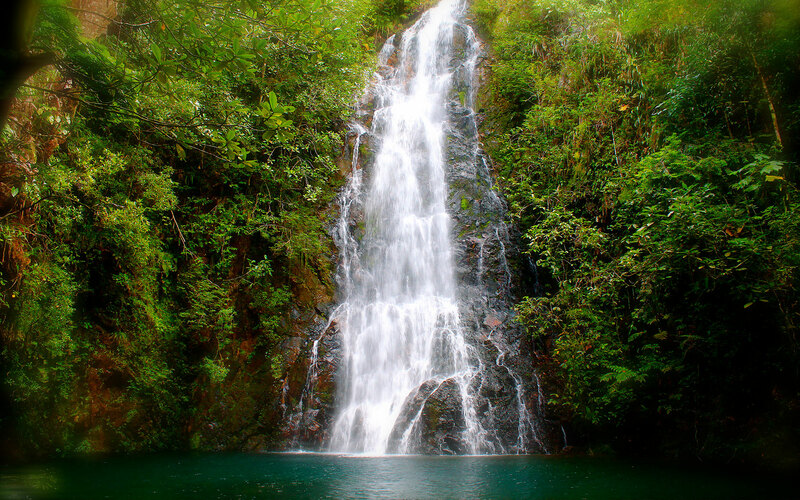 That waterfall is otherworldly and will be such a beautiful spot for your special day. I love the smell of fall so much right now - I just want to spend all of my time outside before the colors go away and the air ceases to smell like crisp leaves. Thanks Laura! I can't wait to see it in person. The air is AMAZING! I needed all the positivity of this today! And your text. That meant so much. I loved planning our wedding--I had fun with it, and I didn't stress about it. I am so excited about Thanksgiving--November is my favorite holiday month because it is such a wholesome holiday that actually focuses on what holidays should be about! Christmas music and red cups?! Love it. Do you get Amazon Music through your prime account? I bet I have that too, then! I'm obessed with Hello by Adele right now. SO GOOD! Sounds like a fun month ahead of you!! I'm excited to see your Thanksgiving posts! I'm planning a Thanksgiving food post this week, and I can hardly wait to eat it! Haha.